I posted previously that the screen rights to an as yet unreleased debut novel by Alexander Soderberg had been picked up by Indian Paintbrush. The novel isn't even going to be released in the states until 2013; international rights were sold on the basis of a 100 page unfinished manuscript. It was major news at the Frankfurt Book Fair. Well if I had visions of a young Swedish grad student scribbling away and finding instant success, that's not exactly how it is. 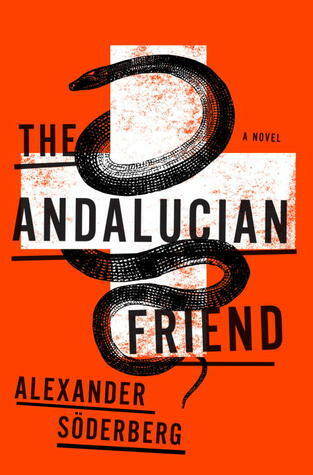 The Andalucian Friend may be Alexander Soderberg's first novel but this isn't his first rodeo. The forty-something husband and father is a successful Swedish scriptwriter with a fairly extensive list of TV credits including a couple of adaptations of popular Camilla Lackberg novels in his resume (her books have have been translated into 27 languages) ; The Stone Cutter (Stenhaggaren) and The Gallows Bird (Olycksfageln). 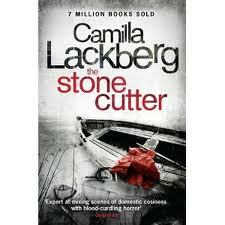 Lackberg is said to be something of a new Steig Larsson, it looks like Alexander Soderberg is going to give her a run for her money. I've been sleuthing around but I can't find a definitive picture of Mr. Soderberg anywhere. If any of my readers can direct me that would be wonderful. As of this moment he's not even listed on his agent's site! His agent is Salmonsson; same agent that reps the other hugely popular Swedish writer Jo Nesbo. UPDATE: 11/5/2017 The Andalucian Friend is still in development. I'm worried that the failure of The Snowman adaptation based on the novel by Jo Nesbo could have an impact on this one. What do you thinkg?